Inspired by our Swiss heritage, we proudly call the rolling hills of Southern Wisconsin home. Roth cheeses are handcrafted in our little corner of the world, Monroe, Wisconsin, by our team of more than a dozen licensed cheesemakers and their supporting crew. 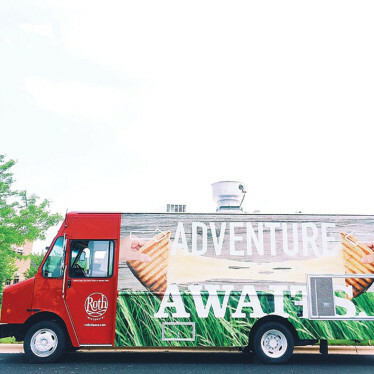 With our European roots, we specialize in Swiss-inspired alpine-style cheeses, Dutch-style Gouda, Havarti and a few of our own American Originals. Our cheesemakers and crew take pride in the product we put out into the world, only providing you with the best cheeses from Wisconsin. We have more than 200 awards to prove it, including World Champion at the 2016 World Championship Cheese Contest for our Grand Cru® Surchoix. 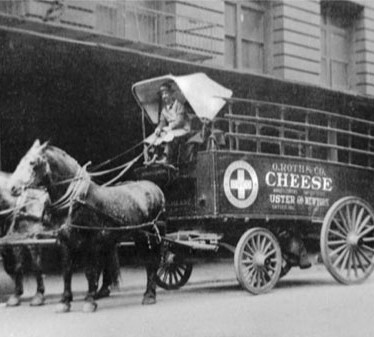 The secret to award-winning cheese? The best milk Wisconsin has to offer. Ours comes directly from family dairy farmers down the road, always 100% rBST-free. 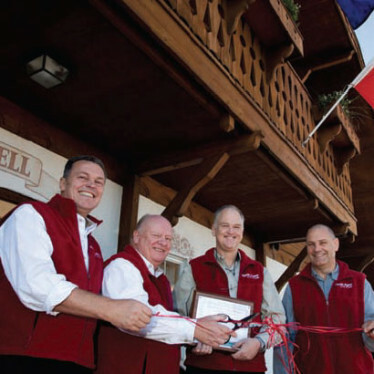 1863: 20-year-old Oswald Roth, a licensed cheesemaker from Niederbipp, Switzerland, founds O. Roth & Cie, a cheese company specializing in producing and exporting Emmentaler. 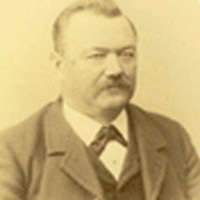 1865: Oswald Roth relocates his business to Uster on the outskirts of Zürich and expands his business to exporting to Eastern and Western Europe, South America, and the U.S.
1911: Otto, one of Oswald’s children, immigrates to NYC to start Otto Roth & Company, a subsidiary of O. Roth & Cie. that will serve as an importing agency for Swiss cheeses. 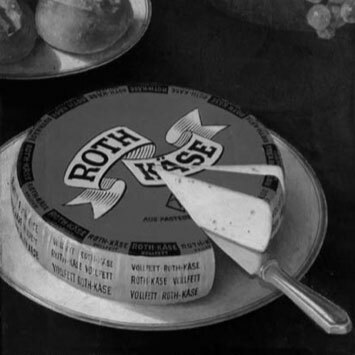 1936: Alfred Roth travels to the U.S. and acquires production technology for Gold-n-Rich and begins the production of Roth Käse, a mild, semi-soft cheese that became popular in Switzerland. 1949: Karl Jaeckle, a cousin of Alfred Roth, immigrates with his wife Rita to the U.S. to join Otto Roth & Company; their sons, Fermo and Andre, are born shortly after. 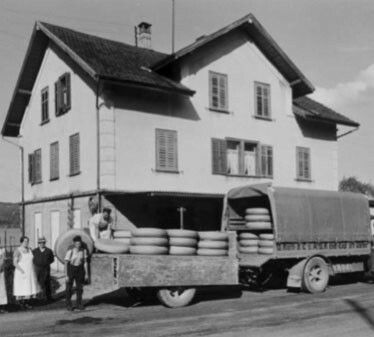 1960: Roth & Co in Uster becomes the first Swiss company to prepack cheese. 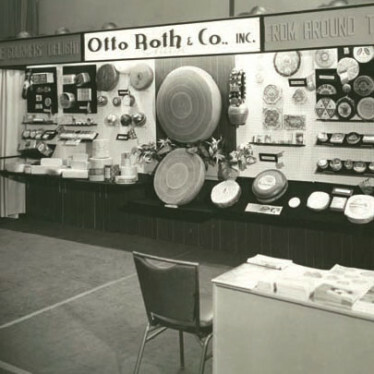 1963: Roth & Co celebrates its 100th anniversary in Uster, Switzerland. 1976: Fermo and Andre Jaeckle take over management. 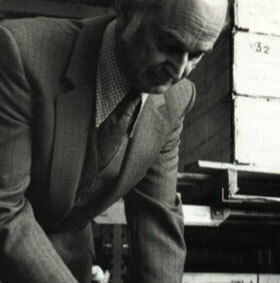 They target deli departments with the first full line of cut and wrapped cheeses and grow the business to become the largest specialty cheese importer/distributor in the U.S.
1983: Otto Roth & Co., Inc. is sold to General Foods. 1989: Roth & Co AG in Switzerland changes its name to Roth Käse AG. 1990: Cousins Fermo Jaeckle and Felix Roth scout locations to found Roth Käse USA. 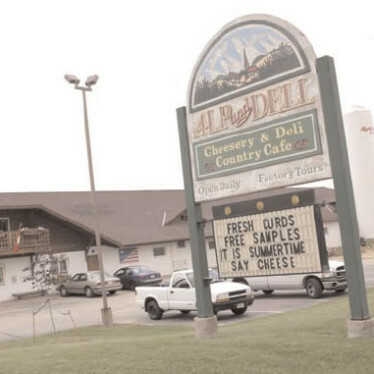 Monroe, WI was chosen as their company’s home for its geographic location, access to high quality milk, existing cheesemaking infrastructure, and the strong Swiss heritage of the region. 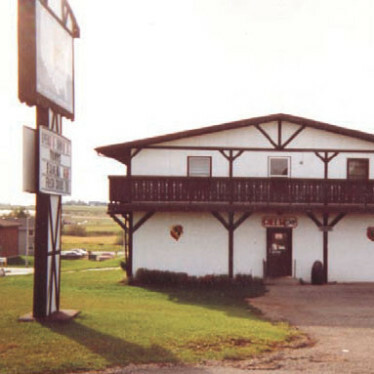 1991: Roth Käse USA Ltd is open for business. The plant houses the country’s first copper vat for the production of Grand Cru®. The company reintroduces wooden boards for aging, focusing on importing technology, not cheese. 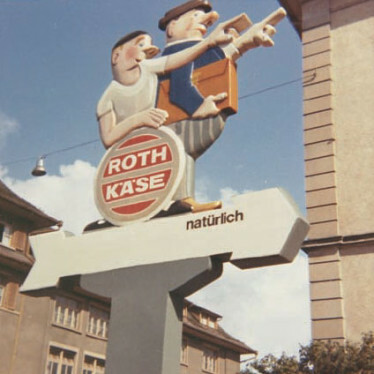 1997: In anticipation of consolidation driven by GATT (WTO) Agreements and Switzerland’s bilateral contract on Agricultural Trade with the EU, a large Swiss dairy cooperative bids to purchase Roth Käse AG. The company is sold. 1999: Grand Cru® Surchoix takes Best in Show at ACS Competition. 2002: Roth Käse USA acquires a distribution warehouse to meet market demand and improve the distribution function. 2004: The decision is made to triple capacity. Construction begins on expanded make room and new employee break room. 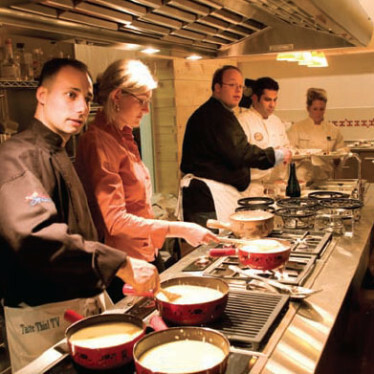 2005: Construction begins on the Affinage/Curing cellar and Culinary Education Center. 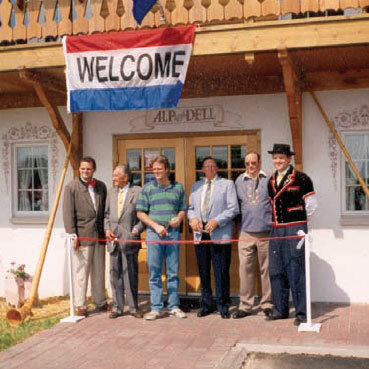 2006: Roth Käse USA celebrates 15 years of crafting and curing award-winning cheeses in Monroe, Wisconsin and completes construction of the Affinage/Curing Cellar and Culinary Education Center. 2007: 2007 Roth’s Private Reserve takes 3rd Best in Show at ACS. 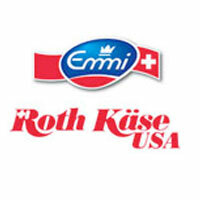 2010: Roth Käse USA and Emmi AG merged in 2010 to form Emmi Roth USA.